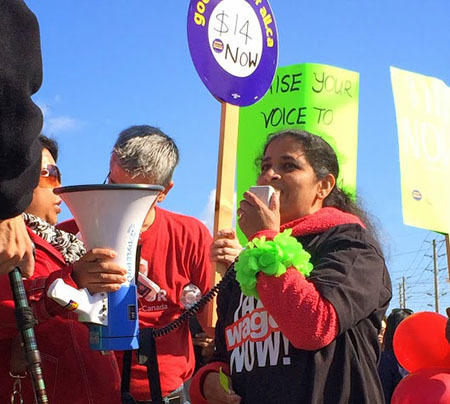 Join an action on November 14th for a $14 minimum wage! Momentum is building for a $14 minimum wage! Just yesterday, the Campaign to Raise the Minimum Wage received the first vote of support for a $14 minimum wage from a sitting MPP! Read about MPP Cheri DiNovo’s support for $14 here! In November, we will be taking our message directly to our elected Members of Provincial Parliament. We will be letting them know that raising the minimum wage is good for our economy and good for our communities. Help build the minimum wage campaign in Scarborough and plan actions for Nov. 14th at Scarborough area MPP offices! The Ontario government has frozen the minimum wage for three years, while prices of food, rent, and transit have soared. What can be done to make the politicians listen? Come help make this a powerful campaign – because you and your neighbours deserve a raise! 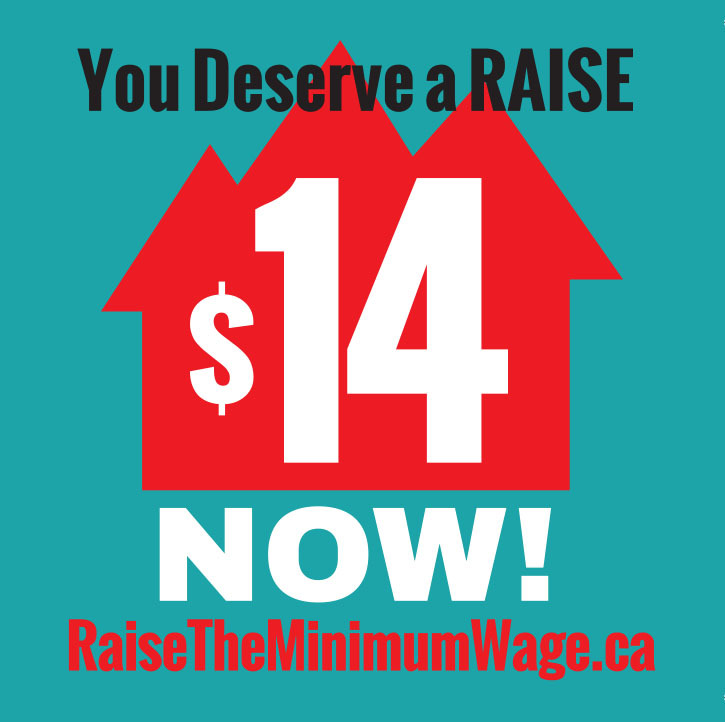 Nov. 14th – Tell Kathleen Wynne raising the minimum wage is good for Ontario! 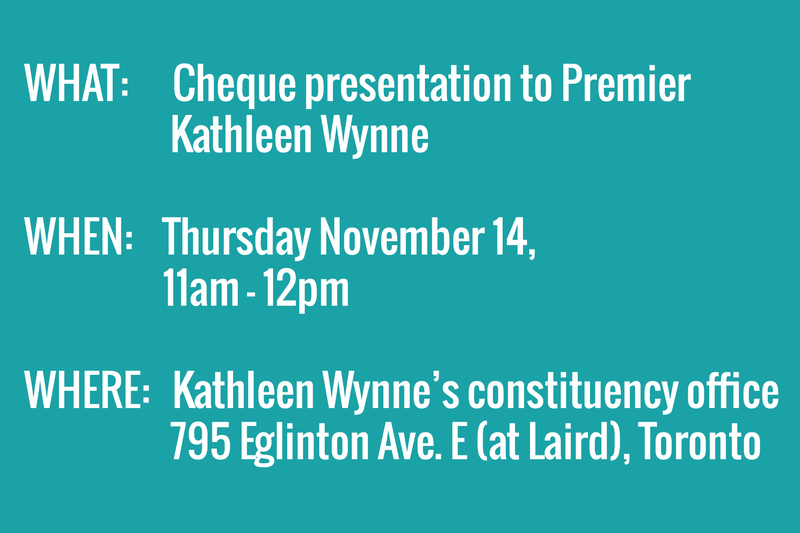 Join WAC and the Campaign to Raise the Minimum Wage as we present a cheque to Premier Kathleen Wynne’s office representing the billions of dollars a minimum wage increase would bring to the Ontario economy!